We had a wonderful Fourth of July Celebration yesterday, and spent the day taking part in our small town festivities. 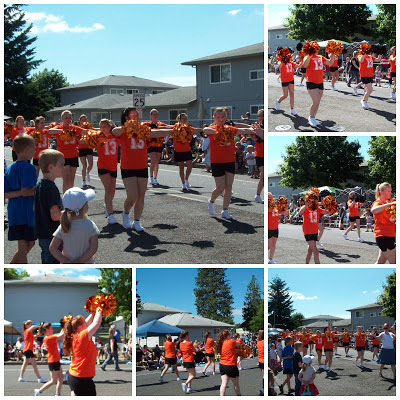 The weather was absolutely beautiful, nice bright sunny weather, but not too hot. The town's parade is in walking distance from our house so we grabbed our fold-up chairs and walked a few blocks to find a seat for the parade. The parade started off with a marathon, and we all cheered on the runners. 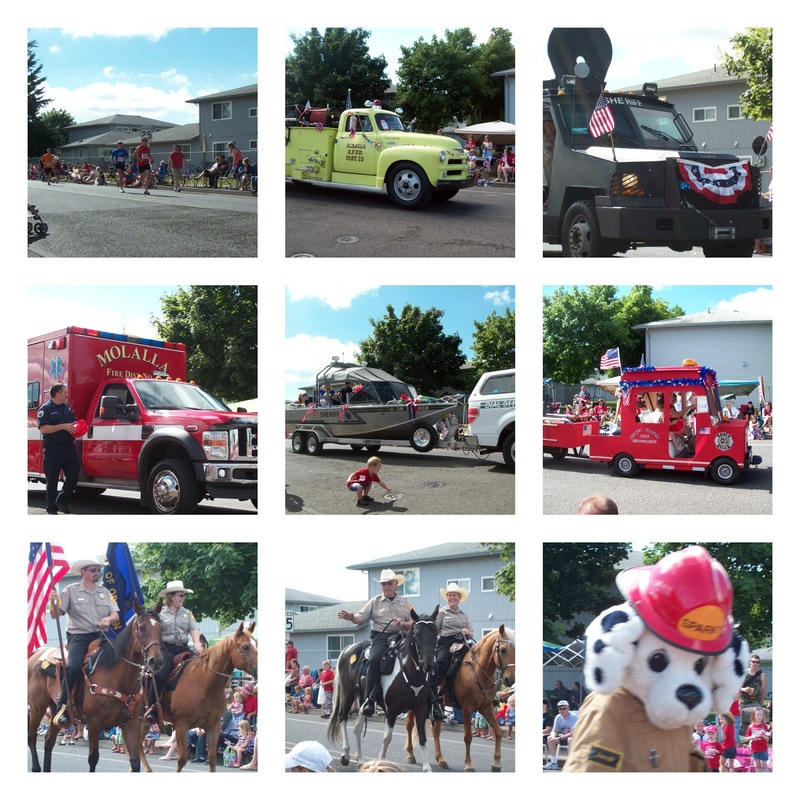 Then the parade began. There were vehicles and representatives from the local police and fire departments. 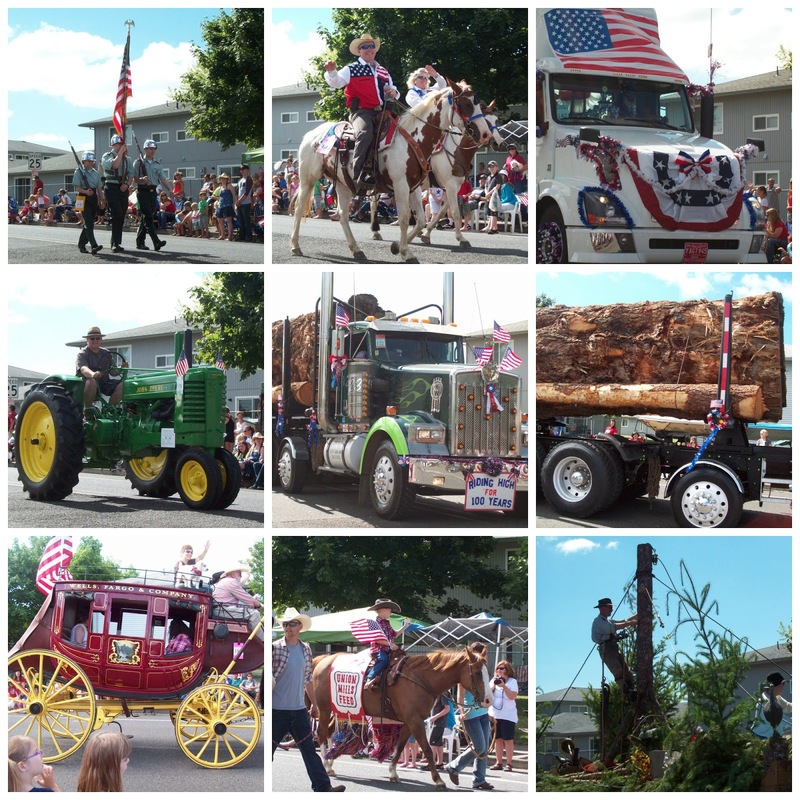 A lot of red white and blue and nods to our town's rural farming and logging roots. 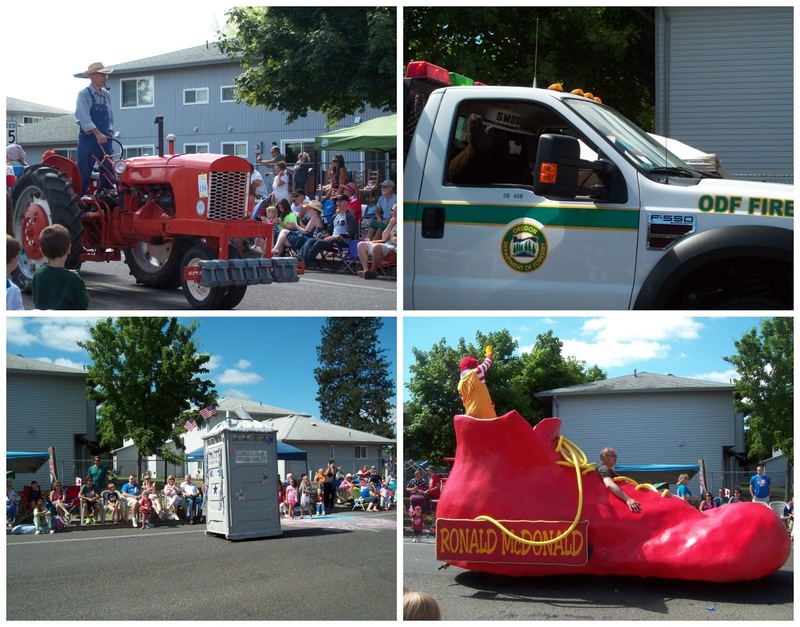 Some of the parade entrants made me smile- I loved the old man in overalls driving the old tractor, I am a huge fan of Smokey The Bear, the Clickscales Porta-loo twisting and turning along the parade route made us all laugh, and the giant Ronald McDonald Shoe was pretty fun too! 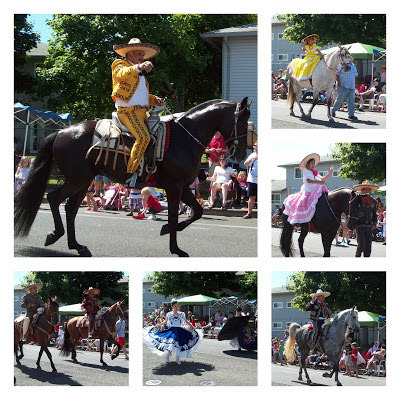 I enjoyed the traditional Hispanic outfits of these riders and dancers, I especially love the vibrant yellow! We were especially excited to see the Molalla cheerleaders marching in the parade, my son's girlfriend is one of the captains, and we were watching the parade with her family. They did a great job!! More Red, White and Blue fun- a family from our church decorated their truck red white and blue, and another truck was decorated in support of our troops. I hope everyone else had a wonderful Fourth of July. Do you have a local parade that you attend? 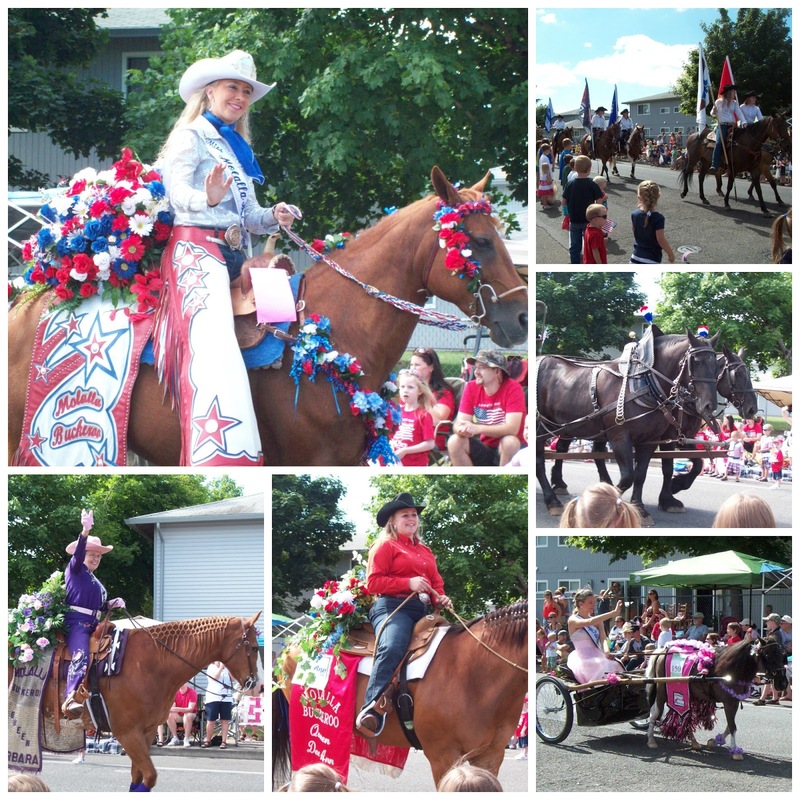 What a great parade!! 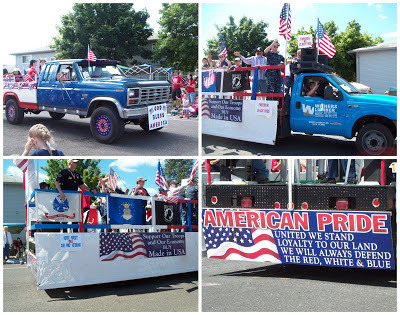 Our town does one for Memorial Day, but not the Fourth. Thank you for sharing at Sharing Saturday! !